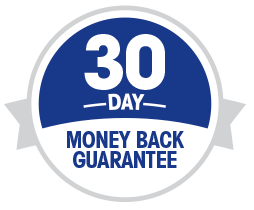 TDS now offers a 30-Day Money Back Guarantee to all new customers. Help us spread the word by telling your friends and neighbors about trying TDS services for 30 days. Plus if you refer them through our customer referral program, you’ll both receive credits on your bill. That’s not all. We offer three great services – Internet, TV, and Phone. If you don’t have all three, you can add a service and still benefit from the 30-Day Money Back Guarantee. That’s right: new customers and current customers adding a new core service can try TDS risk-free for 30 days. Increased capacity. Our crews have been very busy recently and have invested millions to upgrade our network. This means our infrastructure is stronger and more reliable than ever. High-speed Internet Service. All those upgrades bring faster Internet speeds and smooth streaming—something we know people love. New budget-friendly TV packages. Experience Freedom TV with 60 digital cable channels or our Expanded TV package with more than 125 popular digital cable channels, including music. Every TDS TV subscription also includes TV Everywhere programming for free. New and improved phone plans with more features. TDS provides affordable, feature-rich phone plans that includes Unlimited and Basic plans. Our phone plans are reliable and secure, something only a landline phone can provide. For each service your friend adds (Internet, TV, and Phone), TDS will credit $25 to both accounts. It’s our way of saying thank you – which is what your friends will say after you refer them. 30-Day Money Back Guarantee Offer: Limited-time offer. If you are not completely satisfied with your TDS experience within the first 30 days, TDS will give you your money back for services billed within the 30-day window. Customer must provide notice of disconnection prior to 30 days after installation and request the “Money Back Offer” at time of disconnection. Pay-per-view charges, international calling charges and charges for unreturned equipment will not be refunded. Offer is limited to new TDS customers without TDS service in the past 12 months, or existing customers with newly added TDS core services; phone, TV, and/or internet. To qualify, you must not have had the applicable TDS core service in the past 12 months. Offer cannot be combined with the 50 Inch TV for 1 Cent Offer, Video or High Speed Internet Switching Cost Reimbursement Offers. Please allow 6-8 weeks for refund delivery. Offer cannot be utilized multiple times. TDS Referral Program: Limited to residential customers in TDS serving areas. Restrictions apply. Existing and referred customers will receive a $25, $50, or $75 bill credit based on which bundle package the referred customer orders. Credits are applied 60 days after all services are installed and must be an active customer currently receiving TDS service at the time the bill credit is applied. Employees of TDS Telecom, its parent company, subsidiaries, and affiliates are not eligible to participate in the TDS Referral Program. Existing Customers: You must be a current TDS customer to receive referral credit. The referral credit is not a discount to any of the services received. Customer you refer must be new to TDS and keep services for at least 60 days. $450 credit maximum, per 12 months. Self-referrals are not eligible. Referred Customer: You must be a new TDS customer without TDS service in the past 12 months. You must purchase Internet, phone, and/or TV from TDS and keep the service(s) for 60 days. Maximum $75 referral credit per account. The referral credit will be provided as a credit to the Internet or other non-regulated services received. You can only be referred one time. TDS reserves the right to amend or modify the TDS Referral Program at any time (including adjustment to the amount of credits and market availability) or discontinue the program without advanced notice. TDS is a registered trademark of Telephone and Data Systems, Inc. Copyright © 2018, TDS Telecommunications Corporation, All Rights Reserved.